← Curiosity update: Tell us more, we want to help! 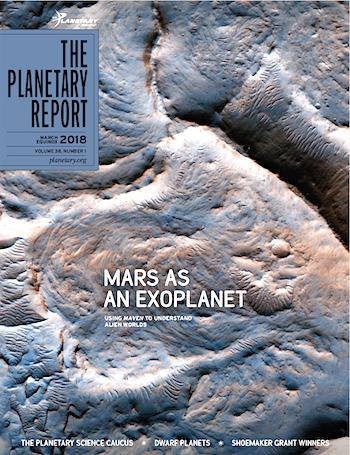 Results from MAVEN have provided a detailed understanding of the evolution of the Martian atmosphere and the history of its climate. This entry was posted in Reports and tagged atmosphere, exoplanets, Mars Atmosphere and Volatile EvolutioN, MAVEN, NASA, University of Colorado. Bookmark the permalink.